What a nice blog! Visiting via the hop. Enjoy your weekend and have fun hopping. Stopping by via the hop! I hope you have a great weekend! Following back on the hop...nice place!! Hey thanks for visiting my blog! I hope you have a great weekend. Hopping by! I'm a new follower. Hi! Just Hopping by - I'm a new follower :). I'm giving away an ARC of Lauren Kate's Torment, plus seven other books on my blog so do check that out if you decide to stop by. Thanks for stopping by my blog! I love your cloud banner, but I love weather all around. :) Have a great weekend! Have fun at the hop! I'll be watching for your review of Not That Kind of Girl. Thanks for hopping by! I hope you have a great weekend, I look forward to your review of Not That Kind of Girl! Thanks for stopping by my blog! Have a great weekend. Haven't heard that much about Not That Kind of Girl. I will be really excited to hear what you think of it. Have fun hopping today!! Thanks for hopping by my blog. I just became a new follower. That book sure sounds interesting, I can't wait to check out the review. Thanks for stopping by my blog :) Have a great weekend!! Josh, thank you! I submitted the form. Thanks to everyone who hopped over. Thanks for stopping by my blog! I love what you have done to yours!! Thanks for stopping by my blog! I am now a follower. I look foward toward your blog post. Thanks for dropping by my blog. I am now following you. I look forward to reading your reviews. Have a great weekend! What a wonderful blog you have! Wanted to come by and thank you for the follow and I am following you now :) Look forward to knowing you more! Have a blessed weekend and Happy Reading! Just hopping by to take a look around. 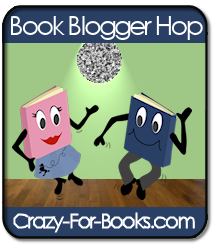 Blog Hop is a cool idea! And thank you for so many giveaways! Thanks for stopping by my blog! Love yours and am now a follower :) Looking forward to what your reading! Thanks for stopping by my blog!!! Have a great weekend! Thanks for stopping by my blog! I really like your set up and I'm very interested in that book about how not to get played. I'm so glad I'm not a teenager as well, but my 2 girls will be one day and I'm scared to death for what that will bring. Life nowadays is crazy! Thanks for hopping by The Prairie Library! I'm looking forward to reading more of your reviews! Thanks for stopping by my blog (Crescive Library). I haven't heard about your book, so I'm looking forward to the review. hi joining u from the book hop. Hi Suko, thats what I'm doing today, blog hopping :) Not That Kind of Girl sounds interesting, looking forward to your review. Hi Suko, returning you visit to thank you for leaving such lovely comments on my blog and for becoming a follower of mine. Nice to have met you, I've enjoyed your blog very much. Slipped past the rowdy party animals to say HI! Hey! Thanks for stopping by my blog on the Hop. I'm a new follower. You've got some great books on your Read, Reading, To be Read list! Thanks for stopping by my blog on the Hop. I enjoyed your review on "Boys Lie".